Prime location. 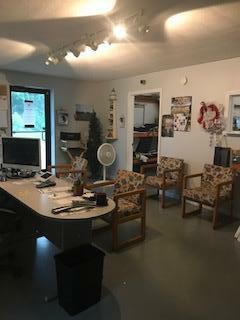 5000 sq ft building on 9.62 acres. Interior area - approx. 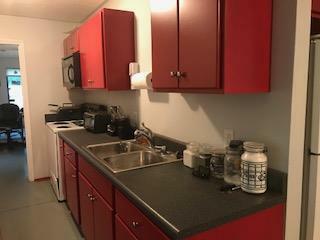 750 sq ft, office space, storage, full kitchen (appliances included) and full bath. Remainder of building is open. Concrete floors, 14' rolling door. Approx. 1 acre of exterior fenced. Camera system included. 400' of road frontage. Endless possibilities.